Gobbledygeek episode 223, “Three Princesses, a Deer God, and a Sea of Decay (feat. Eric Sipple),” is available for listening or download right here, and on iTunes here. Man has been exploiting nature since the first caveman picked up a rock and bludgeoned another to death with it. 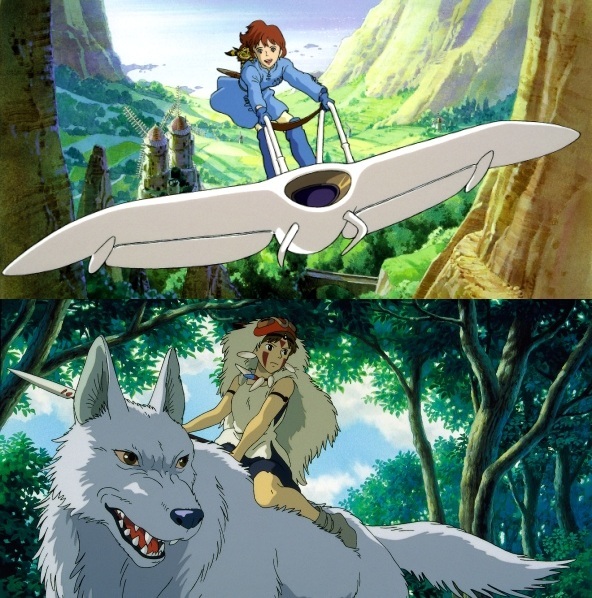 This doesn’t sit well with some, like Hayao Miyazaki, who has made two powerful films about the environment and the ways in which human greed corrupts it: 1984’s Nausicaä of the Valley of the Wind, which led to the creation of the revered Studio Ghibli; and 1997’s Princess Mononoke, which finds Ghibli at the peak of its powers. To help Paul and AJ kick off their month-long celebration of Japanese animation master Miyazaki, another princess stops by, namely Princess Sippy Cup AKA The Deli Counter of Justice co-editor Eric Sipple. The gang discusses the ways in which Nausicaä and Mononoke tackle the same themes from different angles, Miyazaki’s shifting perspective over the years, and what both films have to say about violence and the nature of evil. Next: Black Ice author Kitty Chandler (whose work just so happens to appear in The Deli Counter of Justice) and her editrix Anna Williams join us to discuss two lighter Miyazaki films, My Neighbor Totoro and Kiki’s Delivery Service. This entry was posted in Shameless Self-Promotion and tagged action, adventure, animation, anime, cartoons, eric sipple, fantasy, film, gobbledygeek, hayao miyazaki, itunes, japan, libsyn, manga, miyazaki month, movies, nausicaa, nausicaa of the valley of the wind, podcast, princess mononoke, sci-fi, science fiction, studio ghibli. Bookmark the permalink.